This week my in laws are on a European cruise out of Italy (lucky!!!) and we are flying solo at The Colorado. This is half terrifying and half exciting. 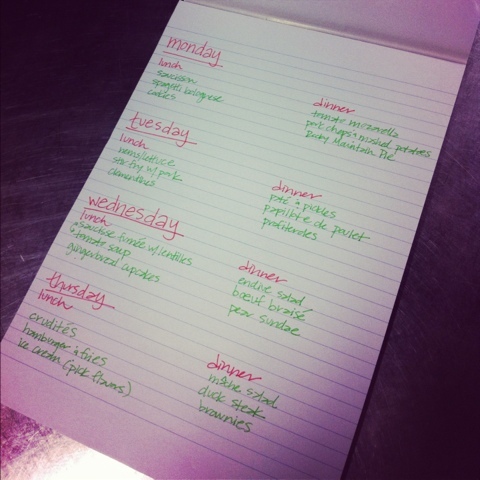 Sheri and I spent last week preparing the menus and making my grocery list for this week so we should be set! It's a different kind of anxiety when you are cooking for paying clients instead of your husband and/or friends! Plus, I don't want to reflect poorly on The Colorado and it's reputation. Wish me luck! If all else fails, you can make Deb's Dr. Pepper pot roast. You've got that one down!